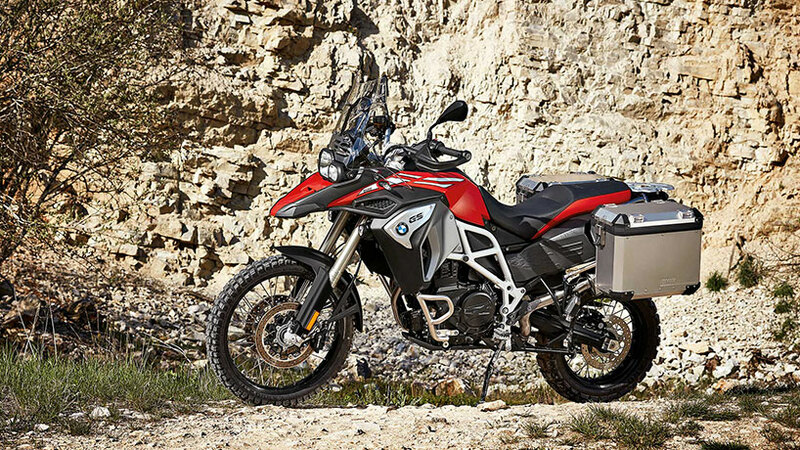 From sand dunes, mountain passes to river crossings, the F 800 GS Adventure masters every task it is faced with on its far-flung travels. 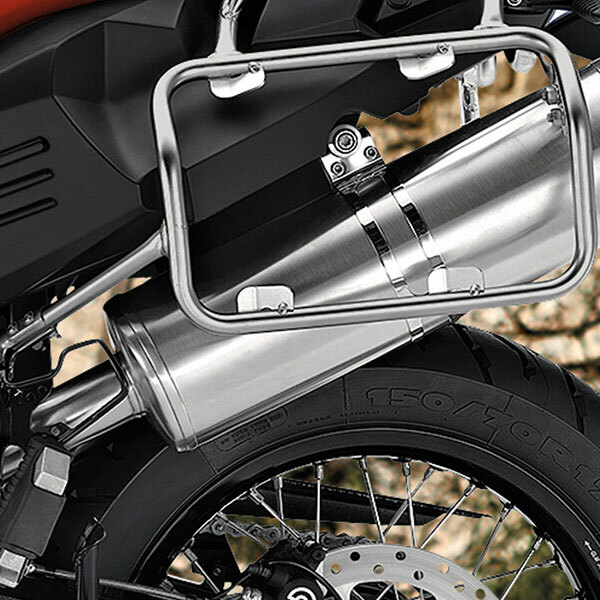 Its core is the torsion-resistant tubular steel frame with spring travel of 9.1 inches at the front and 8.5 inches at the rear. 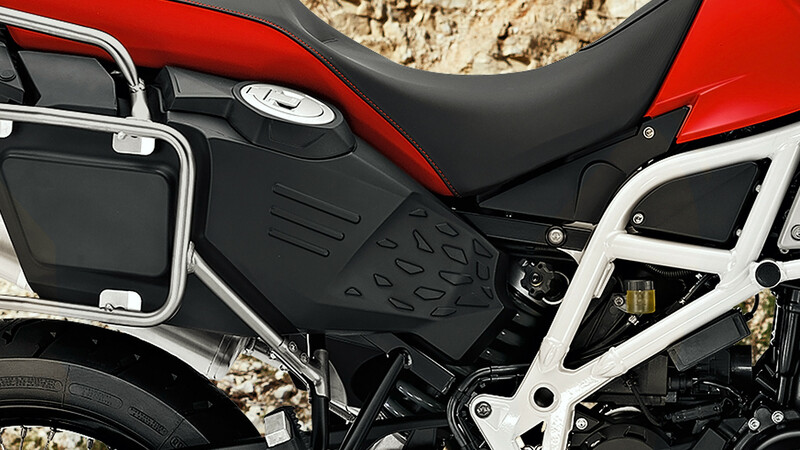 The rider is supported with the optional Enduro mode, which optimizes the suspension for loose surfaces. 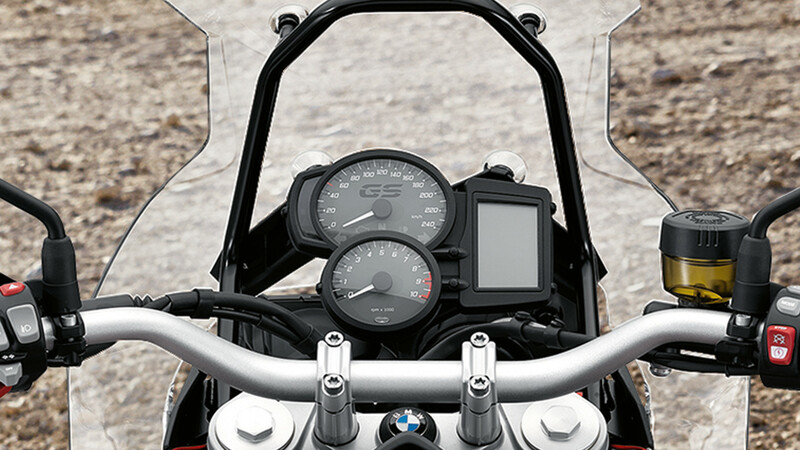 Two standard riding modes, Rain and Road, are available at the press of a button. 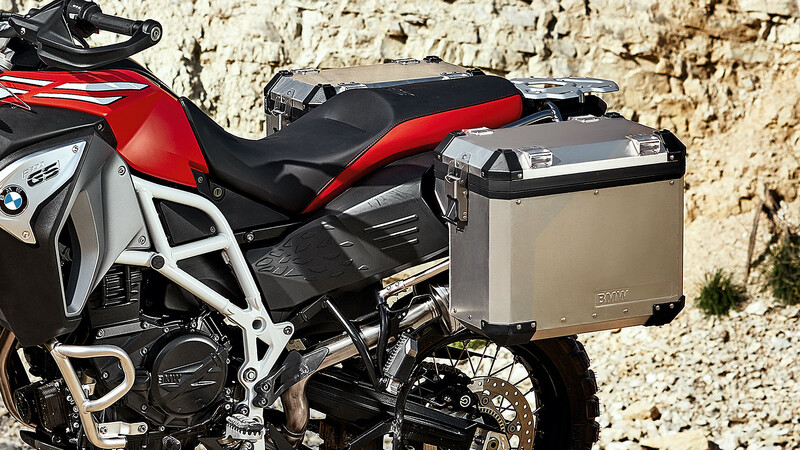 The Enduro and Enduro Pro modes are available as optional extras. 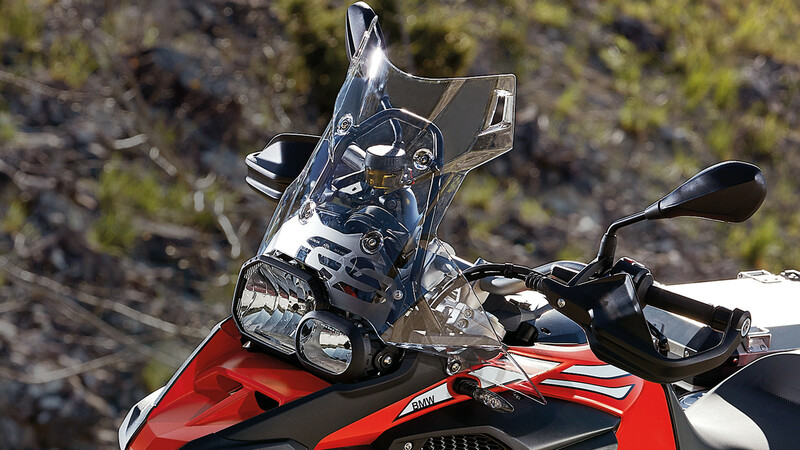 ABS is on board as standard of course. 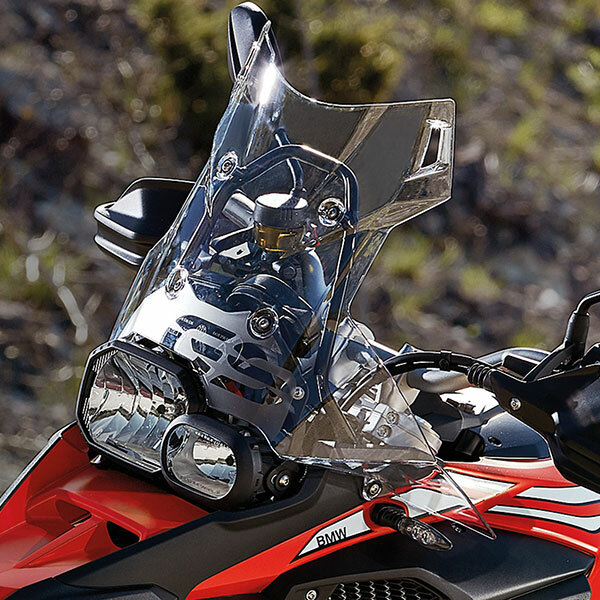 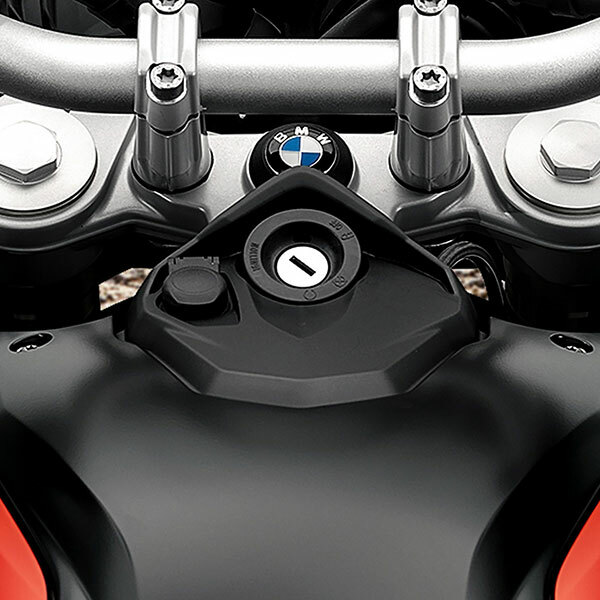 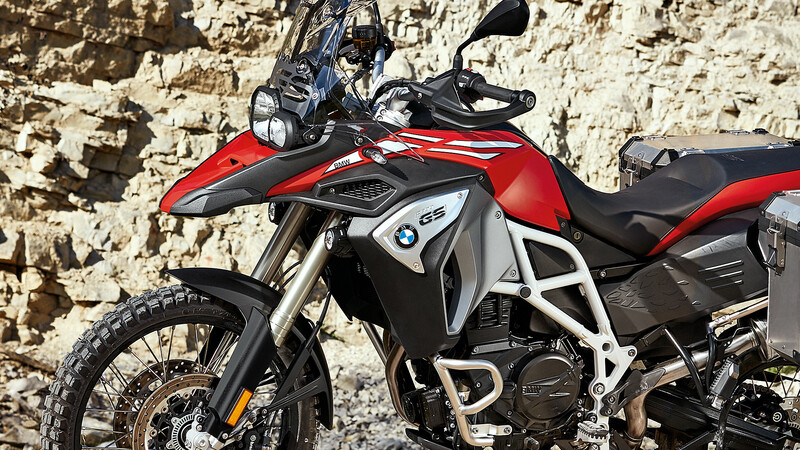 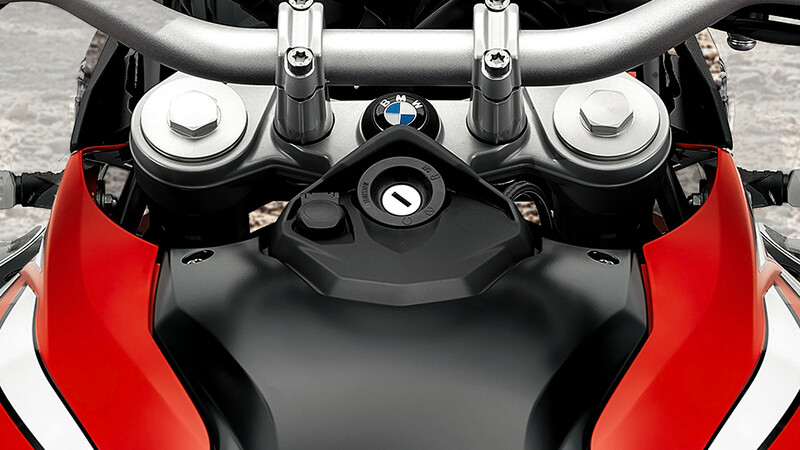 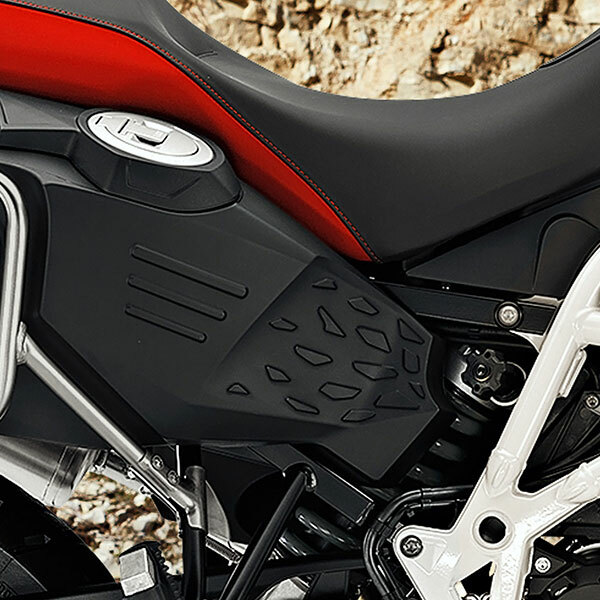 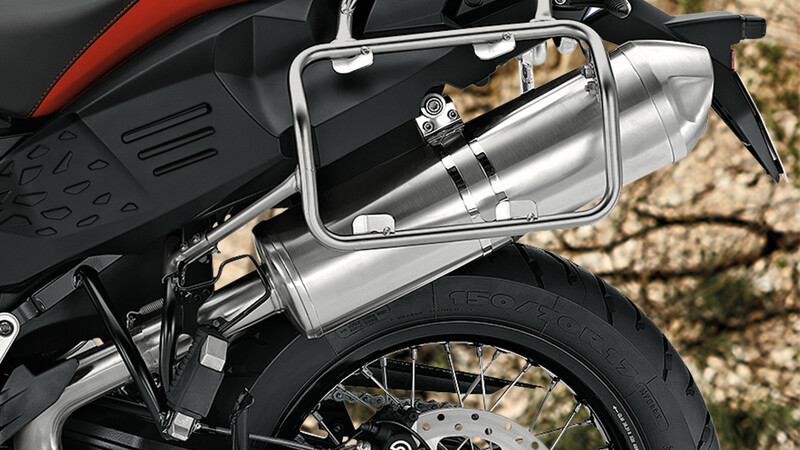 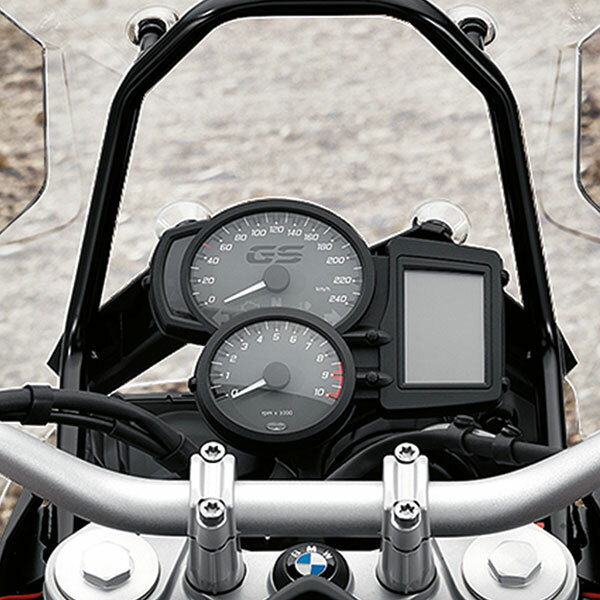 The F 800 GS Adventure is every inch the globetrotter – from the high windscreen right through to the combined tank bracket and side case holders. 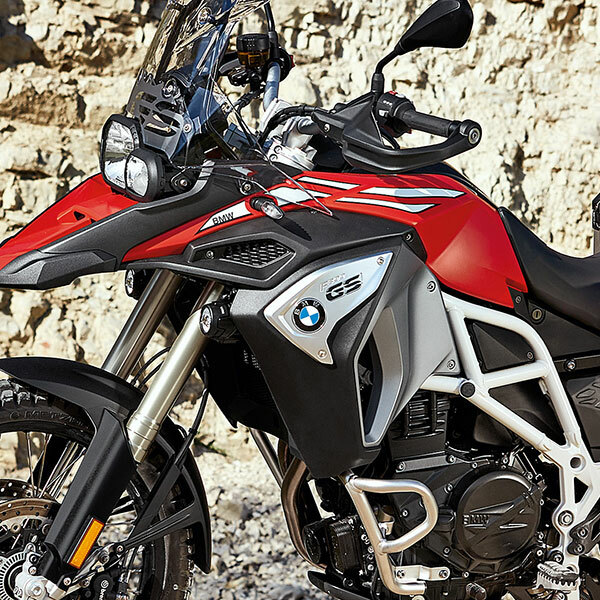 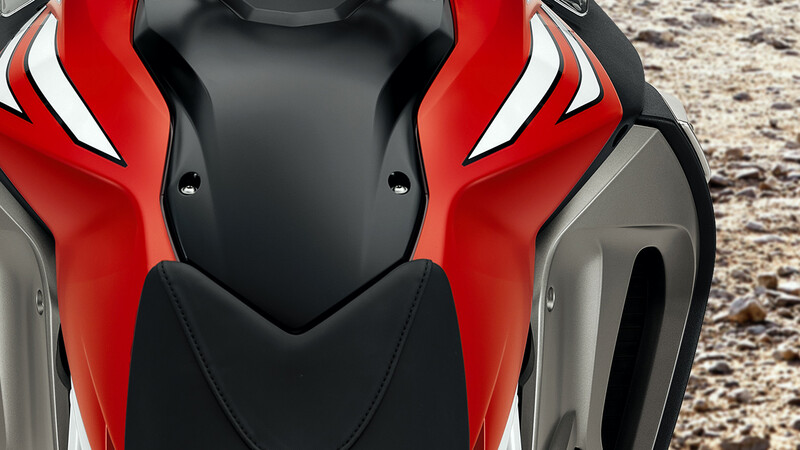 In addition to its striking side trim and the larger fuel tank, the characteristic flyline of the F 800 GS Adventure a clear member of the GS family. 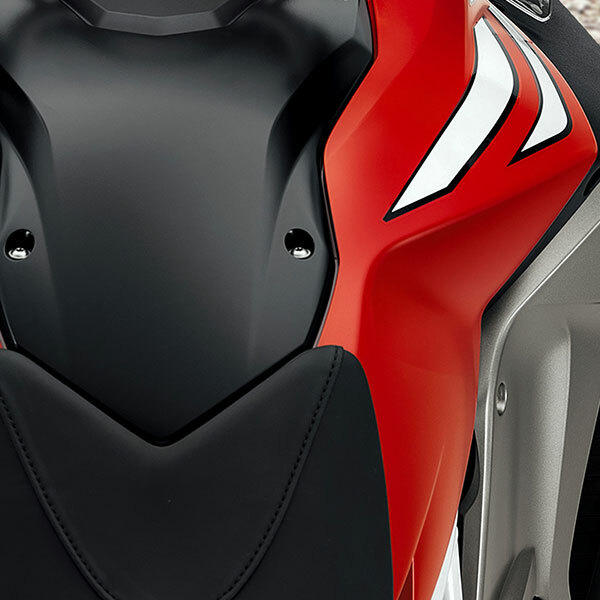 Details such as the GS logo on the tank in the new stencil format or the GS inscription on the windscreen highlight this look. 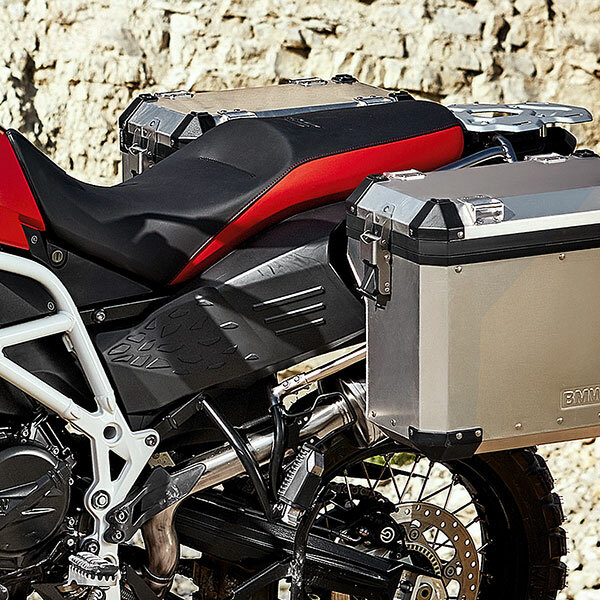 This adventure motorcycle lets you know that it’s out to conquer the world.